The Wave – an exciting inland surfing destination near Bristol – will bring surfing, nature and education together when it completes in autumn 2019. At the centre of the development will be a freshwater lagoon, employing state-of-the-art technology to generate perfect surfing waves for both experienced surfers and beginners alike. The lake will sit within LHC’s carefully designed landscape, that responds to the location and character of the surrounding area and comprises sensory gardens, woodland walks, wetland experience and wildflower meadows. The Wave will include the surfing lake, education centre, café, surf shop, surf equipment hire, changing facilities and space for fitness training, a campsite and natural swimming pool, all set within LHC’s beautifully considered landscape design. 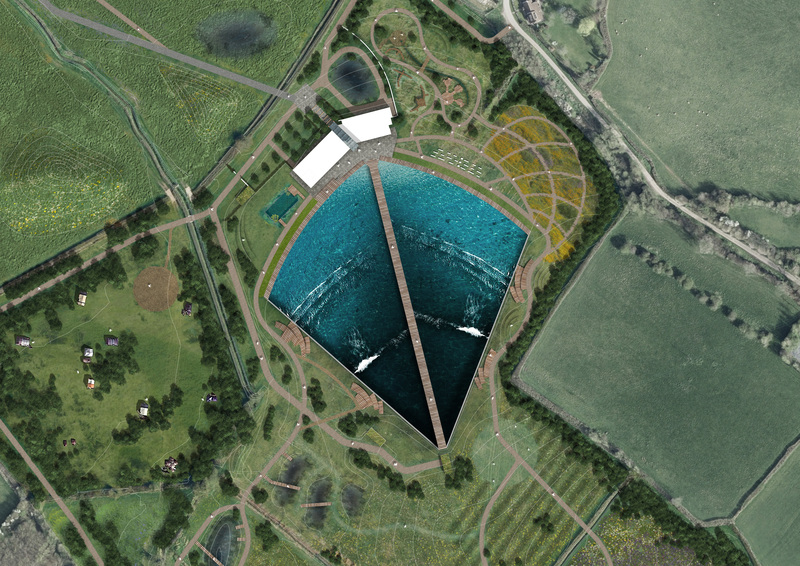 The project will be using Wavegarden’s cutting-edge ‘Cove’ wave-making technology, which generates up to 1,000 quality waves per hour, with heights starting at 50cm and peaking at almost 2m, allowing people of all ages, backgrounds and abilities to experience the joy of surfing. Whether it’s a professional surfer training for the Olympics, or children getting on a board for the first time, everyone will be catered for at The Wave. 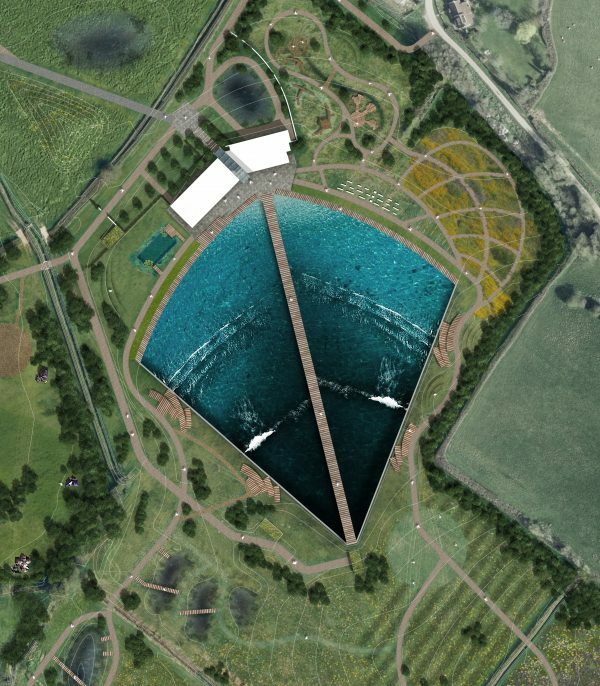 The Wave Bristol will be the first full-size Wavegarden Cove facility open to the public in Europe, and only the second in the world after Melbourne, Australia. Click here to see the technology in action. It has been designed to ensure it is fully inclusive and accessible to all and will give those with disabilities the opportunity to learn to surf, or improve their surfing, in a safe environment. Surfing is a rapidly growing sport and with inclusion in the Tokyo 2020 Olympics, it is set to grow exponentially. Surfing’s accessibility has been held back by geographical limitations, weather conditions, swell conditions, wind, tide and daylight hours. The Wave will be able to overcome all these issues to bring perfect surfing conditions for beginners, intermediates and advanced surfers, as well as being the perfect training ground for our elite athletes in preparation for international competitions.